As well as being a visual feast, these bath scenes have an inviting tactile quality. In the bath’s hot steamy atmosphere the architectural surfaces gleam. The sense of touch is directly illustrated by the black slave’s handling of the porcelain-like body of the white woman. 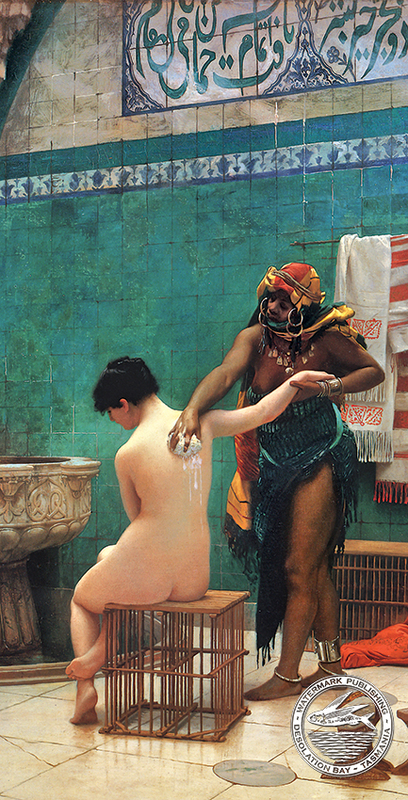 Jean Leon Gerome was born in 1824 at Vesoul, France. He made the first of many trips to Egypt in 1856 and he made three trips to Constantinople, his last being in 1875. Gerome’s paintings did much to sustain the idea that the Turkish harem was a place of Oriental indolence, luxury and licentiousness, a fantasy which held a special place in the European male’s imagination, especially in the Victorian era when a taste for the exotic was extremely popular. 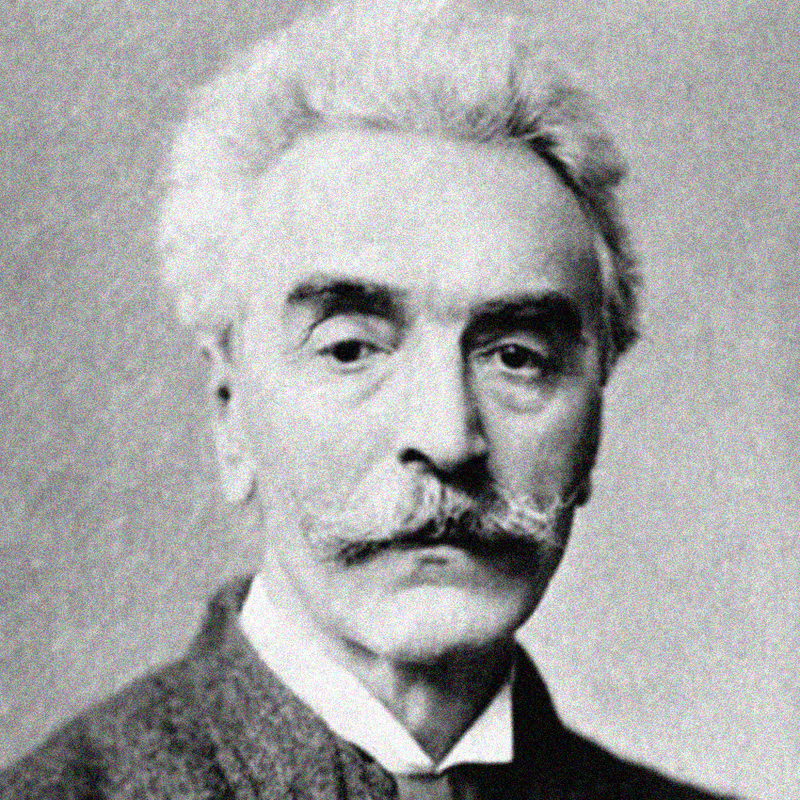 He died in 1904 in Paris.